How shopping malls are gearing up to usher wedding season? 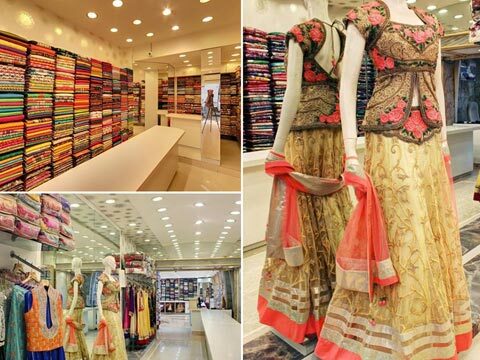 After weak Diwali season, retailers along with shopping malls are gearing up to leverage the upcoming wedding season. The rise in per capita income has transformed the Indian wedding into a lavish affair. It is a perfect opportunity for retailers as well as shopping centres to escalate revenues along with footfalls. To tap the potential, malls lending all sorts of support to make the event biggest shopping extravaganza. Though, this time wedding season is following under the shadow of Goods Service tax (GST) and demonetization which has certainly affected the consumers’ sentiment. However, malls seem to be unaffected and well prepared to lure the wedding shoppers. Let’s shed light on how they will make it ‘BIG’ this time.. Going further Malhotra informed that the mall had seen a positive trend this Diwali. People have shopped across categories at Elante and we have seen an appreciable spike during the festive season. Pradhan also informed that the mall will be hosting a wedding carnival starting from 15th November. The event will be happening at mall atrium; more than 62 brands will be participating in this wedding saga. To make the event successful the mall would announcing exciting schemes and offers for wedding shoppers. Malls are witnessing a shift in the buying trend. Along with traditional ethnic wear, fusion wear, dresses and gowns have started picking up as far as wedding shopping is concerned. Apart from fashion, customers are seen spending on Jewellery& watches, perfumes and cosmetics and footwear. “Traditional Indian bridal wear like lehngas and richly embroidered suits continue to be the most sought after. Since cosmetics and footwear form an integral part of the wedding ensemble, the sales of cosmetics and footwear brands also pick up considerably during the wedding season,” said Malhotra from Elante mall. He also shared that the mall has been consistently witnessing a 15-20 per cent increase in footfalls during the wedding season and this year, it will be no different. “We are expecting an increase of around 18 – 20 % this wedding season as well. Last year also we had an impressive run and we have put some big plans in motion, therefore hope to provide our customers with more, better and bigger options this season as well,” Bansal informed. “Indian consumers are demonstrating a distinctively higher preference towards luxury high street and fashion brands. There seems to be an ever increasing and growing appetite for all things luxury thus making India a growing aspirational market for international luxury and fashion brands. As the integration of the Indian consumer with global trends continues, international fashion brands can expect to find the country an increasingly fruitful ground for growth,” informed Bansal. Clearly, wedding is such occasion where retail brands and shopping malls can go hand in hand in order to leverage the opportunity and serve the best to time pressed and tight pocket shoppers.